The Tamil Language Learning and Promotion Committee (TLLPC) was set up in February 2006. 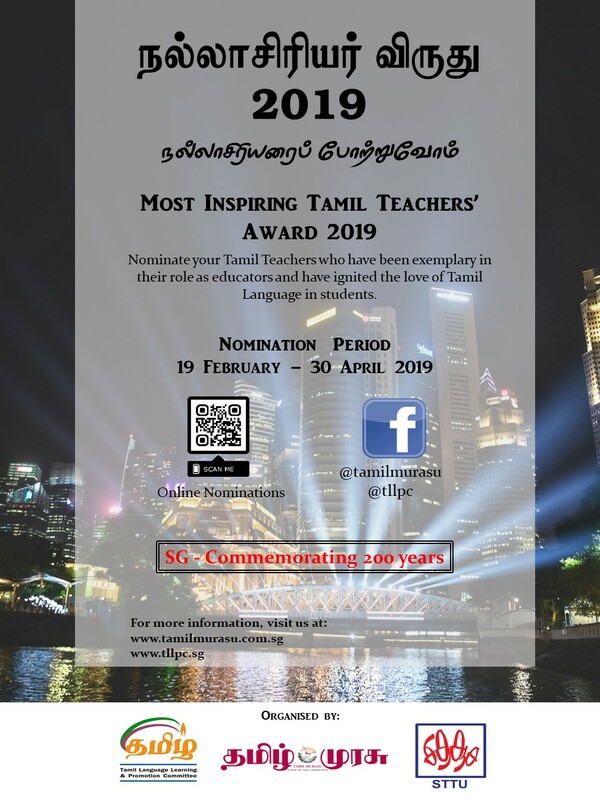 It aims to elicit the support of Tamil community organizations in promoting the use of Tamil Language beyond the classrooms and to support the teaching and learning of the language in the schools. The Committee has worked with various partners to organise a wide range of programmes to promote the use of Tamil in the community. TLLPC has provided opportunities for students, teachers and the larger Tamil community to use and learn the language in different contexts. It seeks for innovative ways to enthuse the Tamil community people, so that they could connect with their heritage and develop cultural values. TLLPC strives towards promoting Tamil as a living language among the future generations. Moreover, it works towards making Tamil a vibrant part of Singapore’s identity as a multicultural, global city. Hence, TLLPC hopes to collaborate with the Tamil organizations to keep Tamil alive by staying relevant and enhancing continuously. Wow Wild Learn (ஆஹா! இன்பமான கற்றல் பயணம்) programme. Tamil Language Learning & Promotion Committee (TLLPC) is collaborating with Wildlife Reserves Singapore Group (WRS) to conduct the Wow Wild Learn (ஆஹா! இன்பமான கற்றல் பயணம்) programme. The programme consists of a series of workshop, activities and supplementary readings, revolving around a learning journey in River Safari.